If your organization is looking for a quick way to connect with your target audience online in the digital landscape and drive traffic to your preferred digital destination such as your website, you should consider Google Adwords. Adwords can quickly and efficiently get your message in front of your audience (customers) through Google search, the Google Display network which consists of a wide range of websites as well as through YouTube. It can be used to drive qualified traffic to your website, increase brand awareness of your organization or cause, remind previous visitors about your business and much more. Before deciding whether Adwords will be beneficial to you and your organization, it will be important to have a general understanding of it as well as to take additional considerations into account. Listed below are key points to consider as you make that decision whether Adwords is right for you. Adwords is Google’s flagship advertising program that allows individuals and organizations of all sizes and types to deliver targeted ads to their audience (s). It should be noted that there are many flavors of Adwords. Each flavor can offer a different benefit to you, the advertiser. The simplest flavor is the traditional keyword driven text ad that appears on Google search and its search partners properties. In this flavor, you choose keywords applicable to your audience. When your audience searches Google using these keywords, your ad are eligible to be show and can appear in front of your audience. The next flavor, is the Google Display network which consists of 3rd party websites and Google properties such as YouTube. The display network is the largest advertising network currently in existence. What sets the display network apart from the traditional keyword driven text ads is that it largely uses image ads of some type and targeting is done on a keyword theme basis as well as the ability to target specific websites to run your ads on. First, a measurement plan which will layout out what you want to achieve by using Adwords. For example, are you seeking to generate more sales, an increase in leads or brand awareness, etc… Included in the measurement plan will be what and how you are going to measure. And, are your expectations realistic? You should think this out thoroughly. Second, clearly defining and understanding your audience (s). Ask yourself who your audience (s) is, where they are digitally, and whether they are receptive to online advertising. Most likely you’ll already know the answers to these questions. Third, have a digital media audit done to make sure all your digital assets are in order. The audit will include a review of your website to make sure that when a person lands on it from an Adwords ad, the site is compelling enough so that the visitor has the highest probability of performing the action you desire. For example, staying on the site and browsing around, filling out a contact form, sharing some aspect of the site, making a purchase or whatever else you have deemed important. Fourth, be willing to understand there is not only the cost of the Ads themselves, but also the cost in setting them up and managing the account once it’s established. Without this ongoing management, you can easily spend your entire budget without producing the results you desired. You can either contract with a trained and certified Google Professional to handle all aspects of Adwords, seek guided help in which you and/or a member of your staff is trained on its usage or you can try going it alone and learning it yourself. Fifth, before turning on that first Adwords campaign your website will need a Google Analytics account, have it correctly setup both within the Analytics accounts and on your website. In addition, you will need goals which were developed in the measurement plan implemented within your Analytics account and tracking code installed on your website. Sixth, proper research needs to be done to determine what keywords, ad text, image ads, and placement websites are appropriate for your campaign. There are tools within Adwords that can help with this process including the Keyword Planner and Display Planner. In addition to these tools, doing an analysis of your competitors and/or similar advertisers can accelerate the entire process. For example say you are a non-profit operating in the State of New York. Ask yourself if there are other non-profits similar to you operating in other states. Seeing what they are doing concerning Adwords can be very informative. Should Your Organization Go It Alone Or Partner With An Experienced Adwords Professional? At this point you may be wondering whether your organization can handle what Adwords entails from setup to management or to hire out some or all of the process. 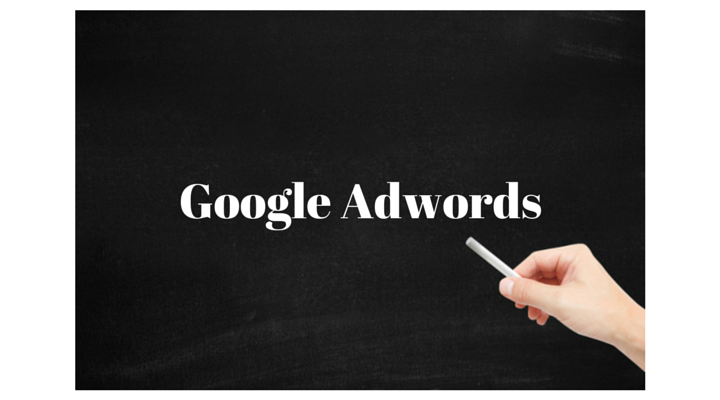 Google does provide a robust set of Adwords learning tools which range from help guides to video hangouts. While this robust set of learning tools can get you up and running, you should remember that you aren’t doing this just to run ads. Rather, you need to ask yourself whether your organization can effectively handle Adwords on its own to produce the positive results you desire. If you decide to look for a partner who can help you with your Adwords account, Google does offer two avenues to seek help from. First are Google AdWords Certified practitioners. These are individuals who have gone through the Google certification process. Second, are Google Partners. Google Partners also go through the certification process, but in addition they must have maintained an Ad spend within their accounts of $10,000 over the past three months. It should be remembered from your, the advertisers, perspective you need to focus on the return from ad spend rather than the amount you are spending on ads. Google Adwords offers a wide range of opportunities for businesses and organizations of all types and sizes to connect with their audience, drive internet traffic to their desired destination and to strengthen their brand. Having this occur effectively and successfully will take time and effort by whomever you choose to handle it for you. We are Google AdWords Certified with over 11 years experience in using Google Adwords and Analytics. If you decide to seek professional help with your Adword needs, Please Contact Us.